Summer has come to an end, and we’ve started a new school term. Not only have my girls moved up to a new year, but my little boy, who turned 2 in July has started pre-school for 2 hours each morning. It’s scary how time flies by sometimes, isn’t it? 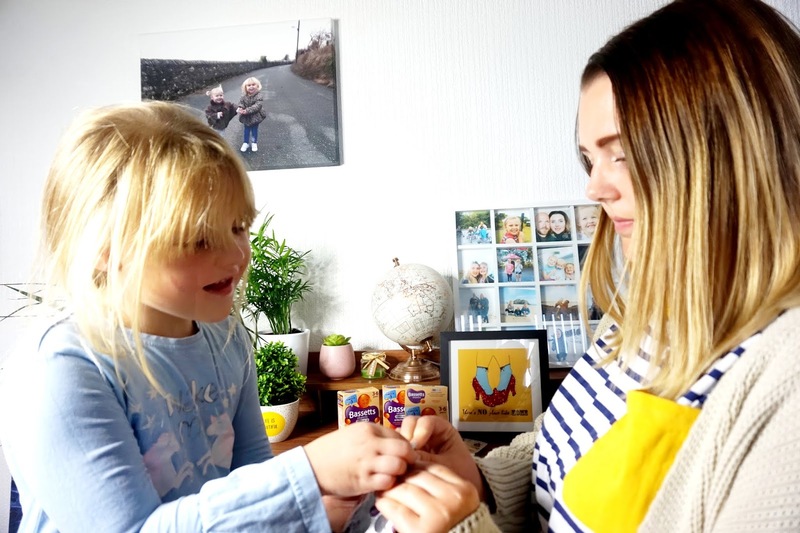 We are now prepared for the school mornings and we even had a few practise mornings to see if we’re able to get ourselves in a routine of getting ready and out of the house by 8am. It’s a tricky one up to now, getting three kids ready for school along with two lunch bags isn’t that fun. I do plan to pack lunch boxes the night before the school morning, but it’s always a struggle with my middle, Ellie. She turned 6 years old in March this year, and she’s always been the fussy eater in the house. Very rarely will she finish up her lunch box and always ends up coming back home with most of her food still in her box. It does worry me sometimes that she’s not getting enough of the right vitamins into her body. This is where Bassetts Vitamins are going to come in handy for us. 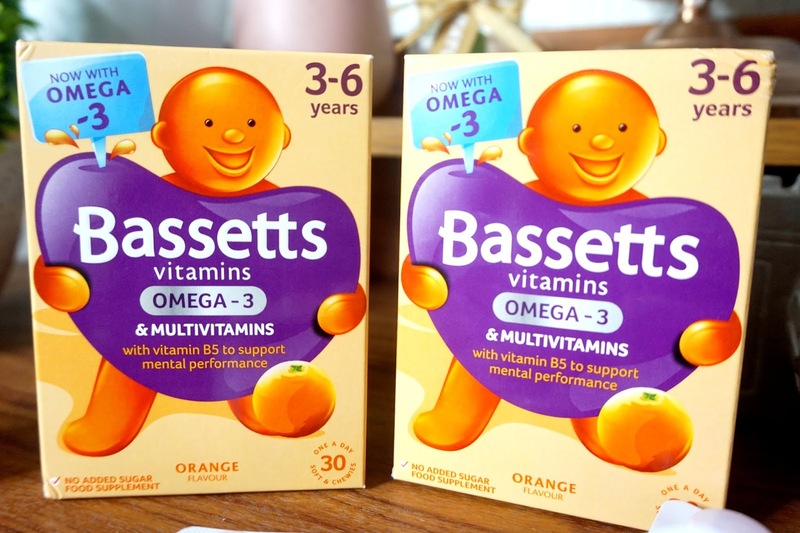 Bassetts Vitamins have launched Omega-3 + Multivitamins Orange Flavoured pastilles for 3-6 years. They are a chewy and a delicious juicy orange flavour, and they’re made with natural flavours and colours, with no added sugar. 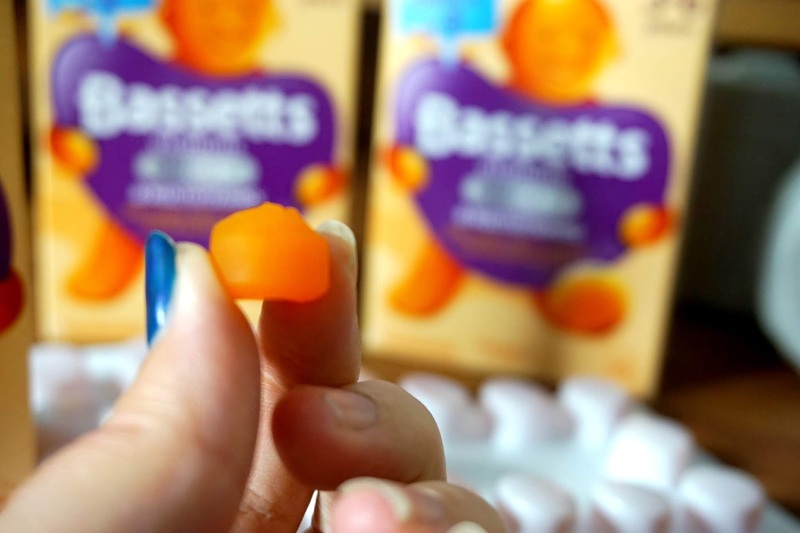 The chewy orange pastilles also contain Vitamin B6 to support normal psychological function. 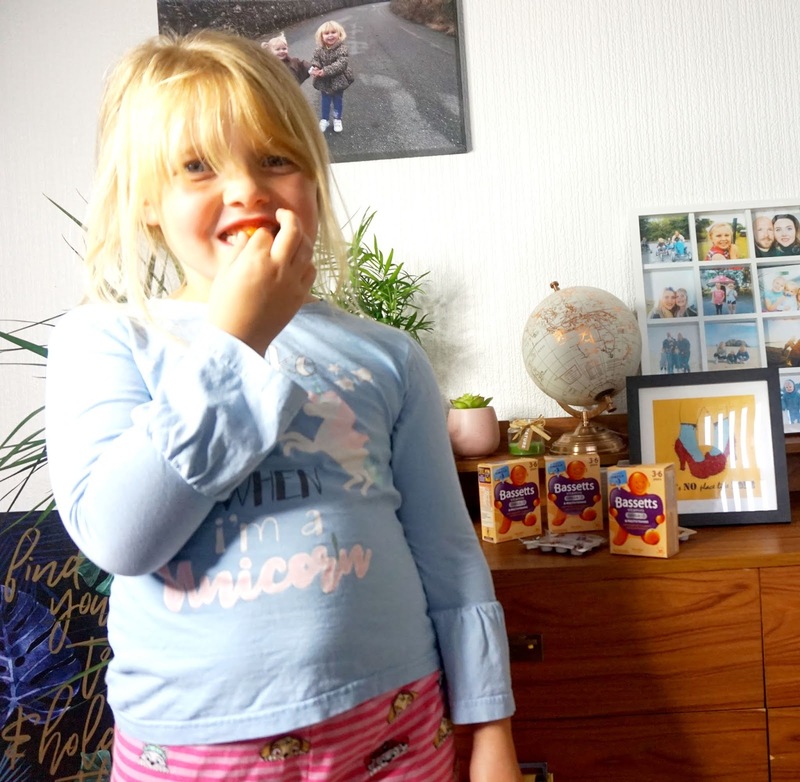 Elliw is getting herself into the routine of taking one pastille a day each morning, which also includes Vitamin B5 which contributes to mental performance to support a smart way to start the day. 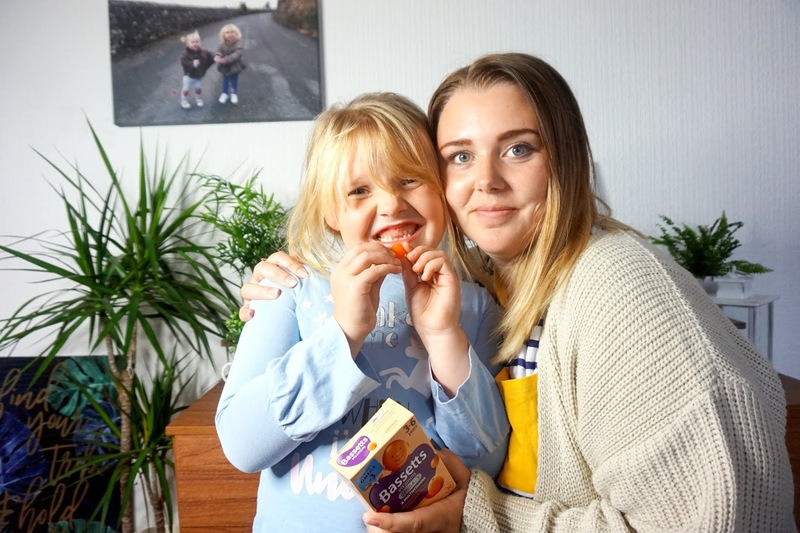 It makes me feel happier knowing she is getting necessary nutrient and vitamins that she needs, that she isn’t getting properly from not eating her lunch, and a fussy eater with her tea too. 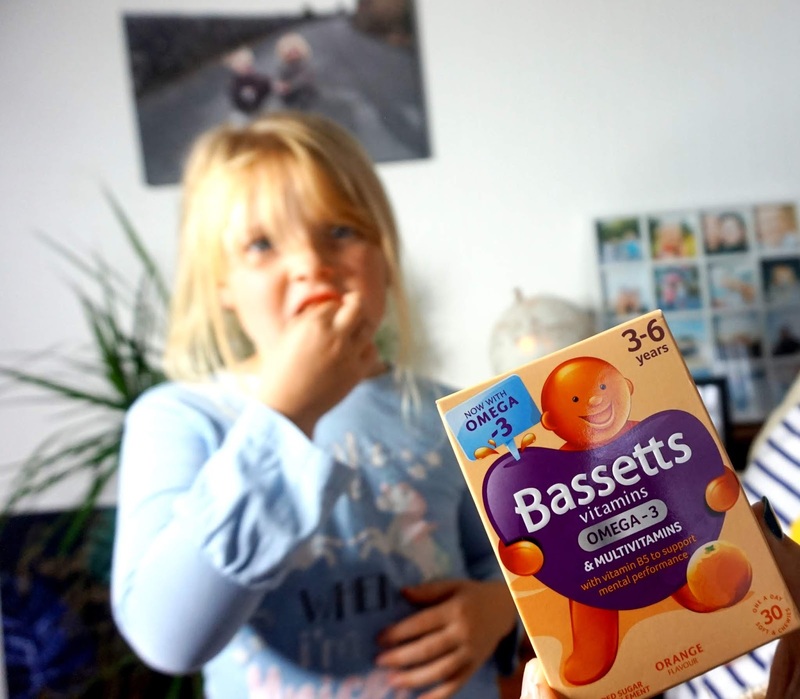 * These juicy orange pastilles contain all the benefits of Bassetts Vitamins’ much-loved multivitamins, but with added omega-3. 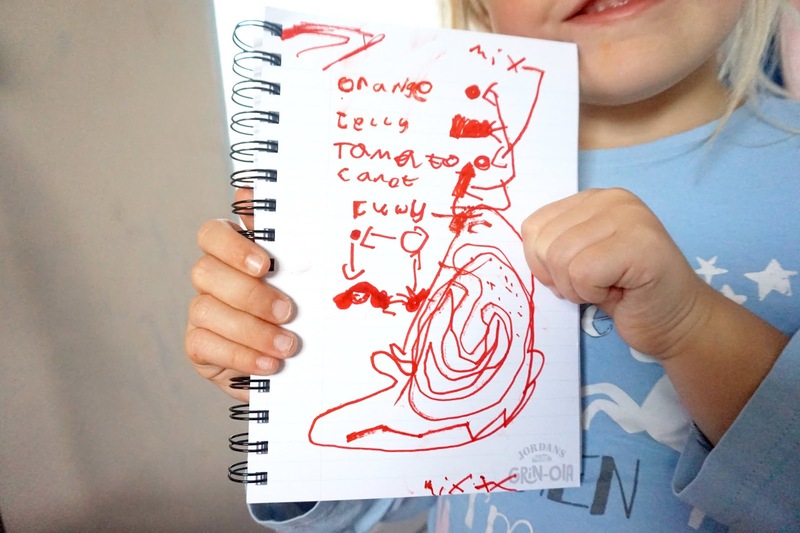 The first time Elliw tried one of Bassetts Vitamins I asked her to draw a photo of what she thought it tasted like, here’s her super photo! She said that it looked and tasted like ‘orange’ and jelly. It was also the same colour as a carrot and tomatoes. 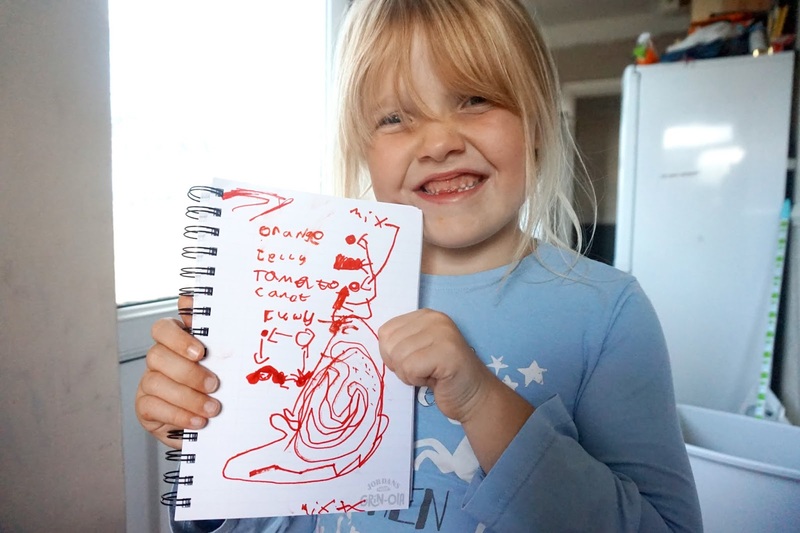 The large photo is a photo of it going down the tummy and the photo under the writing is a photo of a little timeline of Elliw taking the pastille each morning as part of her routine. I adore kids imaginations.